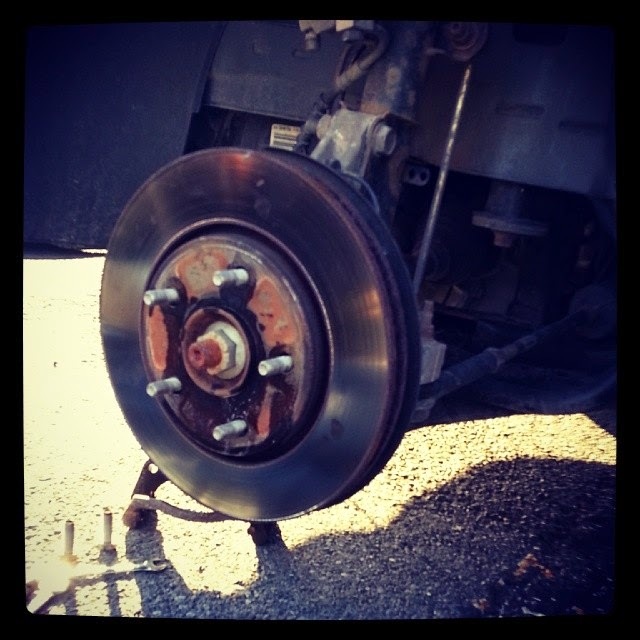 I learned how to change my van's brakes and rotors! How fun is that? About 2 weeks ago, I noticed my van shuttered when I braked at high speeds. So, for instance, when I was on the interstate and slowed down for an exit ramp - the steering wheel would shutter like I was going over a bunch of little bumps. That, more often than not, means warped rotors. The rotors are the round, flat metal discs that the brake pads squeeze to slow down the tire. When they're not exactly flat and even, it causes a bumpy, shuttering feeling as the brake pads clamp down. They look gross and rusted, but that's actually not the problem at all. I'm not sure when the last time they were changed, but they usually last quite a long time. Unless of course, the car shakes when you brake. What causes warped rotors? Could be several things, but after the crazy winter we had, I'm not surprised I'm replacing *something* on this car. Luckily, I come from a family of car people. My father helped me buy the parts and my brother was able to come out and show me how to actually replace everything. Thank goodness too! There is no way I would have been able to compress the calipers myself. Doing it at home also saved us a ton of money. With coupon codes from Advance Auto Parts, everything cost $130 when it would have cost $300 or more at the dealership. Overall, it was surprisingly easy - five lug nuts, four bolts, and a LOT of whacking at the old rotor with a hammer. 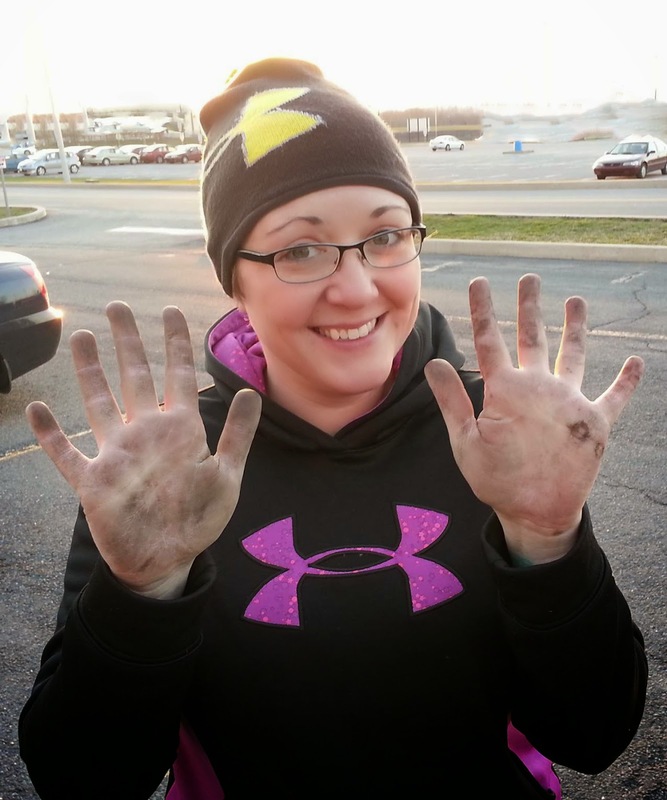 This Momma gets her hands dirty!